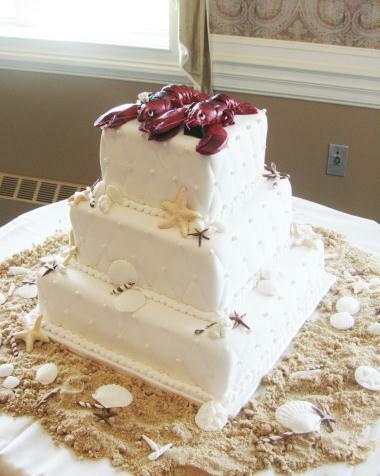 For this seashell wedding cake, instead of a traditional cake top the couple asked me to make "Bride and Groom" lobsters. It is made entirely of fondant. 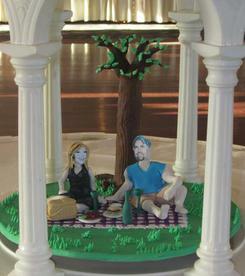 This wedding cake recreated their first date. From a picnic setting, to the dress she wore. It even included the food and wine they had. This is made entirely of fondant. Look closer to see their actual faces.